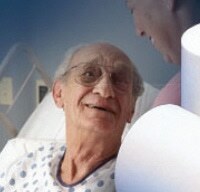 Hydrocolloid, Hydrophilic and Skin-Friendly Adhesives Meet Unique Stick-to-Skin Application Requirements Stick-to-Skin Applications | Fabrico, A Division of EIS, Inc.
For design engineers focusing on wound care, ostomy appliances, surgical drapes, and any medical devices that stick to a patient’s skin, Fabrico Medical can provide the materials and adhesives expertise to meet unique application requirements with innovative solutions. Fabrico Medical can work with a design engineer at a medical manufacturer or contract manufacturer to test and recommend the right adhesive for a substrate and application. Adhesives used in these applications can include acrylics, epoxies, and styrene block co-polymers. Fabrico Medical is knowledgeable on new adhesive formulations, including hydrocolloid, hydrophilic, and conductive adhesives. Hydrocolloid adhesives are the most “skin-friendly” adhesives available, providing a range of formulations for good adhesion, fluid absorption, and extended wear. Hydrophilic and hydrophobic tapes and films are moisture vapor permeable while also capable of providing a seal against liquids. 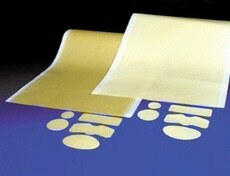 Electrically conductive adhesives provide high, sustained adhesion with no residue on removal. They are often used in ECG electrodes. With access to a broad range of adhesive suppliers, Fabrico Medical can help design engineers working on applications for wound dressings, ostomy appliances, bandages, and surgical drapes. In addition, Fabrico Medical can offer help with healthcare product packaging, especially using cold seal pressure-sensitive adhesives that bond at room temperature only to themselves; this simplifies assembling materials with paper packaging, without damaging the contents.